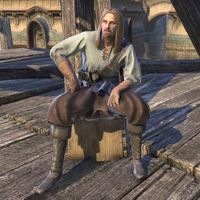 Hedstagg is a Nord smith who can be found in Vivec City. He can be found in the Foundation's Labor, just north of Jeeba-Noo. He cannot be talked to. This page was last modified on 30 October 2017, at 20:05.